Every year the Masters tournament marks the unofficial beginning of the golf season. Although the PGA Tour season now begins way back in October, the aura of the Masters coincides with the beginning of spring and the beginning golf season for most people. For this very reason, Masters Pools have become increasingly popular and for daily fantasy sports sites it's one of the biggest contests of the year. Below, we have a put together a list of strategies and tips to help you win your fantasy contests or pools this year. 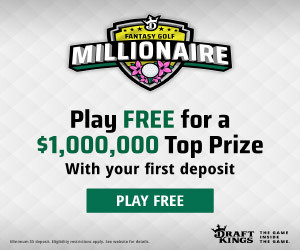 Make sure to checkout DraftKings.com for the Biggest Fantasy Golf Contest in the world this year! Our #1 strategy is to avoid players playing in their 1st Masters tourney. The Masters is played each and every year at Augusta National. Although not scary in terms of length, Augusta has always been one of those places where certain holes can swallow up a newbie golfer. Golfers that have played before get to know the course and can make better shot judgements while a new player will struggle to get to know the intricacies that only comes with experience. Also, it's important to consider the "Wow" factor of Augusta - it is one of the most iconic golf courses in the world and once a player gets that coveted invite to play, a lot of good golfers get awestruck in their first trip around the course. The Masters, in April, is usually filled with pleasant days...but when the weather turns, scores get higher. When the course is dry, Augusta favors the more accurate golfer that can hit and stick it on the quick greens. When the weather is wet, the ball seems to almost stick upon landing. Long hitters succeed in bad weather but when there is a dry spell, the accurate hitters prevail. Windy days can also catch a rookie golfer by surprise, so make sure your roster players know how to handle the swirling winds of Amen corner. Augusta isn't a long course, but being able to hit it far does help. Ultimately, you want a golfer who can keep it in the fairway and has a great short game. If you add in an above average driving distance, you have a recipe for a golfer that can win. This is why Jordan Speith has been so successful at the Masters so far in his career, maybe the best overall player today. Some golfers just don't mesh well with Augusta National. 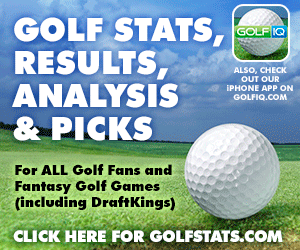 Check out how players have done in the past on the course - there are good golfers that miss the cut each year and alternatively, there are some average golfers or even old-timers that finish top 25 consistently each year. Make sure to sign-up to our newsletter to get Masters course history cheat sheets emailed directly to your inbox. This tip is as simple as it gets but some people just ignore current form. Golfers are a streaky bunch, and if a golfer is on a hot streak heading into the Masters, he should not be ignored. Look for a bunch of top ten finishes or a streak of 3 great finishes in a row leading up to Augusta to gage how hot a player may be.